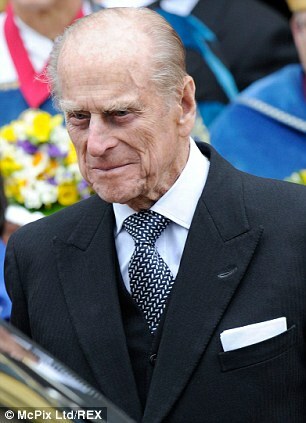 Prince Philip, a Shakespeare authorship doubter? Bard blood? Nice headline, I thought. And just under it was, “Philip and Charles at odds over playwright’s authenticity.” An authorship debate at the Royal Palace? Well, who knew? Here’s the basics of the Daily Mail’s online story about the dueling Princes (and notice how the name of Edward de Vere, 17th Earl of Oxford, is conspicuously absent, even as Henry Neville, Christopher Marlowe and Francis Bacon get mentioned). After this current news story I have included a news item from 1996 that quotes Prince Charles on the issue of whether Shakespeare should still be taught in high schools —it’s worth a look. Shakespeare’s plays contain their fair share of quarrelling princes – and now the Bard has sparked a real-life difference of opinion at the Palace. Scholars have revealed that the Duke of Edinburgh believes the playwright did not write everything attributed to him — in opposition to Prince Charles. Expert Stanley Wells, who has written in defense of Shakespeare’s authorship, last night said he had ‘crossed swords’ with Prince Philip on the issue. He recalled asking the Prince if he was a heretic, only to be told ‘all the more so after reading your book’. According to Wells, Prince Philip believes it’s more likely that some plays were written by diplomat Sir Henry Neville, who was imprisoned in the Tower of London over a 1601 rebellion. Other theories have suggested that Francis Bacon or Christopher Marlowe may also have been the true authors. Another expert, Professor Jonathan Bate, revealed that Prince Charles, president of the Royal Shakespeare Company, had asked him to list arguments backing the Bard as author. All this reminded me of a story we did in the Shakespeare Oxford Newsletter in the 1990s, when there were some thoughts about whether the authorship debate was in play at the Palace. It was my first year as editor, along with my brother Charles and Charles Beauclerk, who certainly knew a few things about life among the royals in the UK. Beauclerk wrote an interesting brief news item for our winter 1996 issue (under the name Charles Vere) that is still relevant today. At the time he had written to the Palace asking whether Prince Charles had any thoughts on the authorship question and whether he would offer any comments, and had received back a brief letter from Charles’s secretary that stated that the Prince was “aware” of the controversy, but would not be speaking about it “at this time.” The phrase “at this time” caught our attention, and we wondered whether or not to make something of it. In any event Charles did not mention the letter in the news item he wrote, but the item is still very interesting for what it does say about Prince Charles’s views on Shakespeare, and the issue of whether Shakespeare still mattered in the late 20th century, and whether or not he should still be taught in secondary schools. Prince Charles has long been a devoted admirer of Shakespeare. His elder son and ultimate heir to the throne, Prince William, is named for him, while his younger son, Prince Harry, is named for his father’s favorite Shakespearean character, Henry V. Last October, a long article appeared by the Prince of Wales in The Daily Telegraph, one of London’s most reputable broadsheets, as part of the debate on whether Shakespeare should be a compulsory part of the curriculum in British high schools, as has been the case hitherto. Unsurprisingly, the Prince believes that every student at high should be exposed to Shakespeare. After such heady stuff, the final paragraph of the article brought one back down to earth with a bump. For the first time in the article, details of the author’s life were mentioned: that he was brought up in the gentle Warwickshire countryside, educated at the grammar school in Stratford, and baptized and buried in the local church. Charles Beauclerk answers questions following his talk on Timon of Athens at the Shakespeare Symposium from the Oxfordian Perspective (held on May 8, 2010, at the Watertown Free Public Library, Watertown, Mass.). The exchanges are about not only the play, but also the authorship debate itself, with a few choice words directed at Prof. James Shapiro’s Contested Will. Beauclerk’s own book (Shakespeare’s Lost Kingdom) is the perfect antidote to Shapiro’s banality, and his views on Timon couldn’t be more apt in demonstrating the difference between Oxfordian interpretation vs. mainstream/Stratfordian interpretation. On pages 275-284 of SLK Beauclerk expounds on his views of the play, views which are not only Oxfordian, but also Oxfordian with the added perspective that the playwright Oxford/Shakespeare was (in Beauclerk’s view) Queen Elizabeth’s illegitimate son. It is when one sees this highly personal authorial perspective as the subtext of the play (indeed, of the entire Shakespeare Canon) that one can begin to appreciate the true importance of the authorship debate, and the simple fact that knowing what the author had on his mind when he wrote a play bears directly upon fully understanding that play.